On the grounds of the Woodruff Arts Centre campus in Atlanta is a rather unexpected sight. 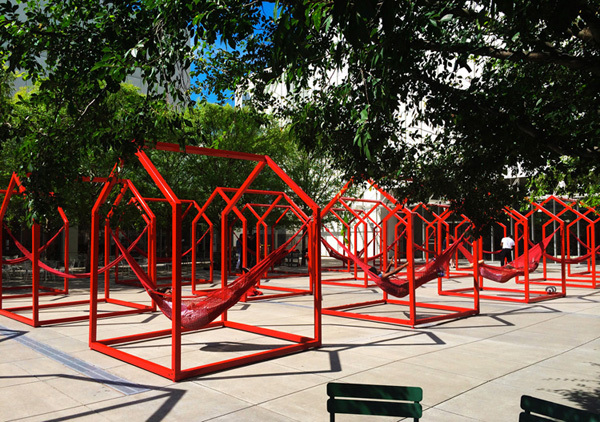 The space is filled with 40 three-dimensional red metal “houses”. The houses are part of an interactive installation designed by Mexican designers Héctor Esrawae and Ignacio Cadena entitled Mi Casa- Your Casa. For the next two years, the exhibit will be on display with the purpose of engaging the community with objectives to intrigue, invite, activate, build connections, blur boundaries, engage with the community, amaze, wonder, travel, mutate, bring joy, and build identity and a sense of belonging. 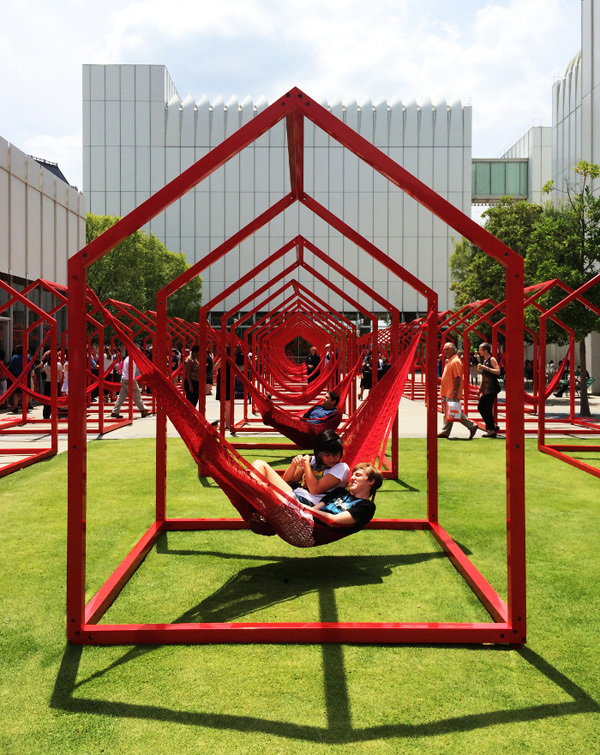 Within the space, visitors are urged to play, create and relax. 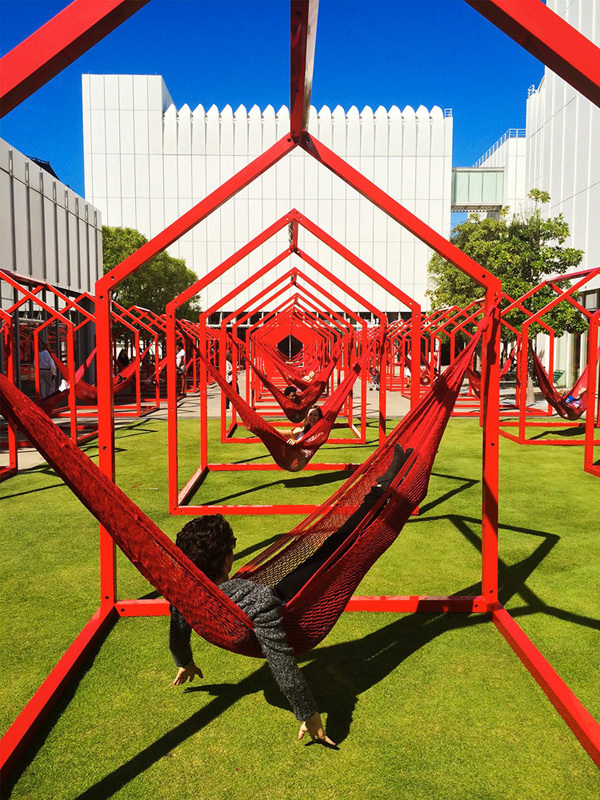 The houses support hammocks, swings and easels. There are bins of chalk and bubble water for playful daytime activities. During other times the space offers performances and youth education. This concept showcases how design can promote engagement. Although simple, the objectives of the environment are strong which helps to create a solid brand presence while creating a connection with participants.